Floor Frame XXL | 200 x 200 x 40 cm | 79" x 79" x 16"
Customize your own framework XXL as you like [leather/ wood/ aluminium, colors, striping]. What artwork would you like in this framework? Would you like your own Porsche[s] in the painting? As a tribute to Porsche 911 I have created this framework XL. 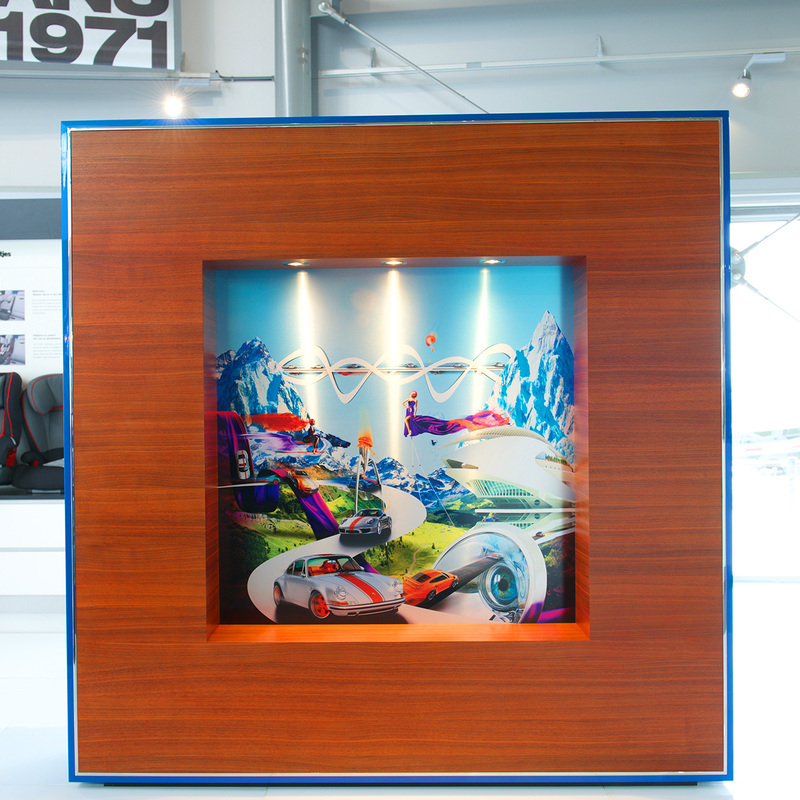 You can customize your own framework as you like [leather/ wood/ aluminium, colors, striping etc.]. Would you like your own Porsche[s] in the paintings? You can. Floor framework XXL is impressive and monumental due to the large size [2 mtrs high, 2 mtrs wide and 40 cm deep, 79" by 79" by 16"]. The large XXL- framework can be freestanding in your dedicated space. As such, you can walk around it, as you would do with a sculpture. I start my artworks with sketches and drawings before turning those into a multi-layered graphic image that is built up from hundreds of different pictures, all individually airbrushed and redesigned. 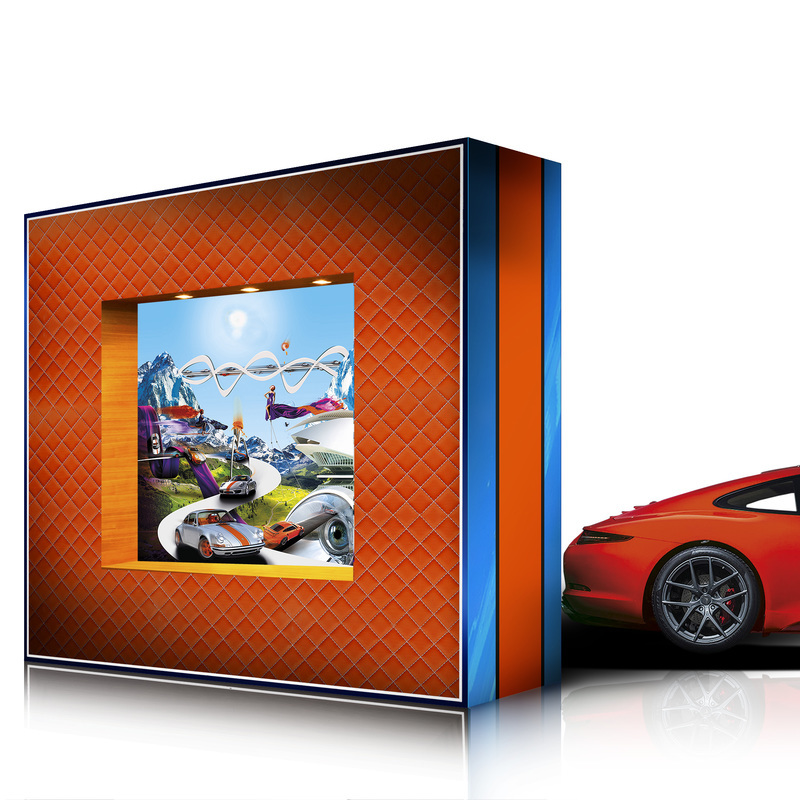 The finished image is printed on aluminium and finished off with an airbrush technique in order to create special light effects when your eye goes from left to right on the artwork. People are always amazed by this effect. On the back of the XXL-framework you will find another artwork. Also this artwork you can choose or I can create a completely personal artwork as you wish. Framework including the two sides artworks. The frame forms an integral part of the artwork as a whole. Together with my team of specialists we have developed this frame exclusively. This frame can be totally customized to meet your specific demands with your choice of wood, leather, car-paint, all in the colour of your choice. The graphic image is put ‘in the frame’ as it were, around 20 cm deep. The space that’s been created by this, is used to secure LED lights. 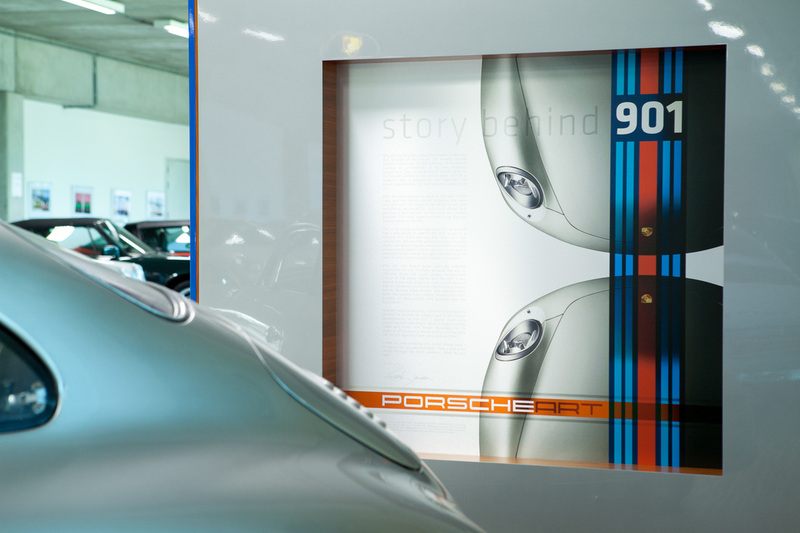 In this way, the image is ‘illuminated’ to bring the high-gloss of the aluminium and metallic lacquer to life. Would you like your own Porsche[s] in this painting? Or do you prefer an artwork totally made with your personal wishes? You can! This effect can be best experienced in reality. I therefore would like to invite you to visit the showroom and experience my artworks up close. Place your bid on XL Frame with 2 artworks! 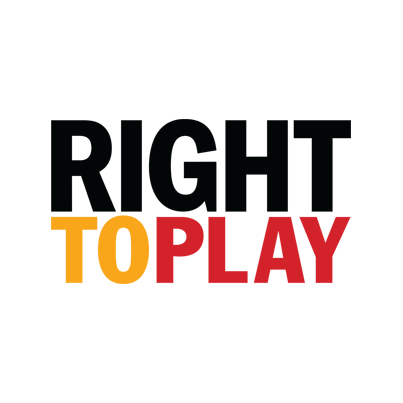 Foundation Right to Play believe that play is a powerful tool to change the world. It can inspire individuals and bring together entire communities. A game of football can educate children about tolerance and peace, and a game of tag can teach about malaria. When children play, they develop skills like cooperation, confidence and leadership–all important life lessons. Play provides a retreat from everyday hardships and brings joy and laughter, allowing kids to be kids. 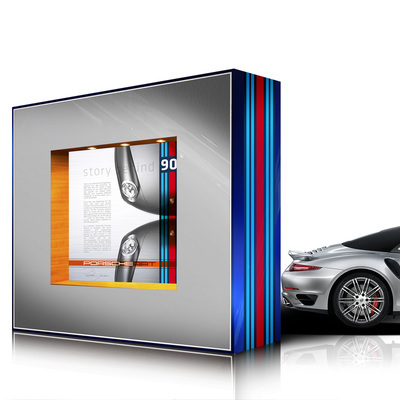 With the creation of PorscheArt artwork 901 XL my childhood dream has finally come true. With the sale of my artworks I would like to enable other children in the world to make their dreams come true too. As such, I will donate part of my proceeds to the Foundation Right To Play.